In order to lose fat, it’s crucial that your diet and workout routine are working in concert. If these two aren’t tuned to fat loss and to each other, you can just end up spining your wheels, getting nowhere. Here are critical aspects of both diet and workout if fat loss is your goal. Make them work together for you and you’ll have a winning combination. There are a lot of diets available that claim to be geared toward fat loss. Unfortunately, if you’re not well informed about nutrition and how your body works, the odds are that you’ll select one that will waste your time and money without delivering the results you want. Cutting back on calories is NOT the way to burn fat! Depriving your system of sufficient caloric intake will cause your metabolism to slow down and leave you without enough energy to workout effectively. 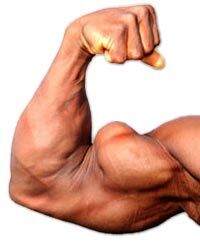 It can also cause you to lose muscle tissue do to a lack of protein. Finally, you’ll be constantly hungry, making you more prone to abandon the diet and overeat. The notion that in order to lose fat, you should cut all fat from your diet is wrong! 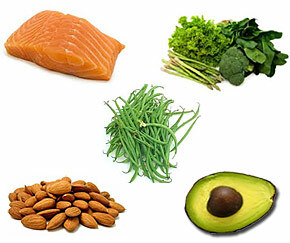 Some fats are essential in order for your body to metabolize vitamins and minerals. The key is to know which fats to cut. Proteins, carbs and fats are all important to a balanced diet, and the ideal ratio will vary from one person to another, depending upon metabolism, health and activity level. One person may do best with a 50-40-10 ratio while another will find 60-30-10 ideal. Avoid any diet that is extremely high or low content of any of these macros. A no-carb diet, versus a low-carb diet, for example, should be avoided. Studies have proven that a 30% carb diet is just as good a diet for losing fat as a 5% carb diet. Any diet that causes insulin spikes will work against you in your campaign to lose fat. High insulin levels stop the fat-burn process, so you need to ensure your diet won’t boost your insulin level. Eat often, getting enough protein, fiber and fat, focusing on low-glycemic fruits, veggies and grains. Don’t tie yourself to a diet that makes unreasonable demands on your lifestyle. Complex meals that require a lot of preparation won’t work well for you if you can hardly boil water without burning it. Likewise, a diet that calls for expensive ingredients may not fit your budget. For optimal fat loss, plan your diet just as you do your workout program – you’ll find the effort will pay off. Reviewing any diet you’re considering to ensure it meets these five criteria will help you select one that will work best for you. The other half of a good fat loss program will be your workout. If your routine isn’t geared toward fat loss and carefully meshed with a diet focused on fat loss, you can find yourself wasting time and energy. Burning more fat than you consume is only part of the process of losing fat. Steady-state cardio will never compare with interval training for burning fat, especially HIIT (high intensity interval training). One study, by R.E. MacPherson, tested two groups for a six week period, one on steady-state treadmill exercise for 30-60 minutes and the other on HIIT for 20-30 minutes. The treadmill group lost 6% average body fat, while the HIIT group averaged 13% fat loss. One special advantage of HIIT is that it results in a higher metabolic rate for 12 -20 hours after the workout, so the fat-burn continues. It’s not enough to simply say you’re going to sprint for 10 seconds or 200 yards. 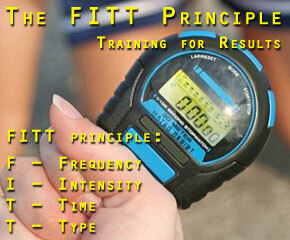 The effects should be measurable (such as 80% VO2 maximum or what incline you’re working on and for what distance). Without a clearly defined program, you won’t have clearly defined results. In order to be able to measure your results, adjust intensity and plan changes, your program must be properly structured and organized. When you’re trying to lose fat, the scale isn’t the best measure of your progress. Your weight will vary as the day progresses and from day to day. You’re much better off closely measuring your body fat percentage. When you marry a good fat loss diet with a solid fat loss workout program, you should be able to shed 1% per week of your body fat. If you find yourself achieving less, you need to make a change. Maintaining proper hormone levels for fat loss is a major topic all by itself. Let’s just say that you need to learn how some hormones will aid in losing fat and stopping fat storage and how to promote them. As an example, prolonged cardio stimulates higher levels of cortisol production -but cortisol stimulates fat storage, not fat loss. 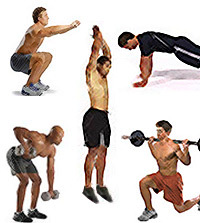 There are many fat loss workout programs that will provide good results, provided they meet the criteria detailed here. Planning your workouts will allow you monitor them closely, making adjustments quickly and easily to avoid plateaus. Carefully coordinating your diet and your workout for fat loss will enable you to reach your goal as efficiently as possible. Plan both carefully; reviewing the criteria above and you’ll have a winning combination.